After a decade, the Singapore Grand Prix still remains one of the most exciting events on the F1 calendar. 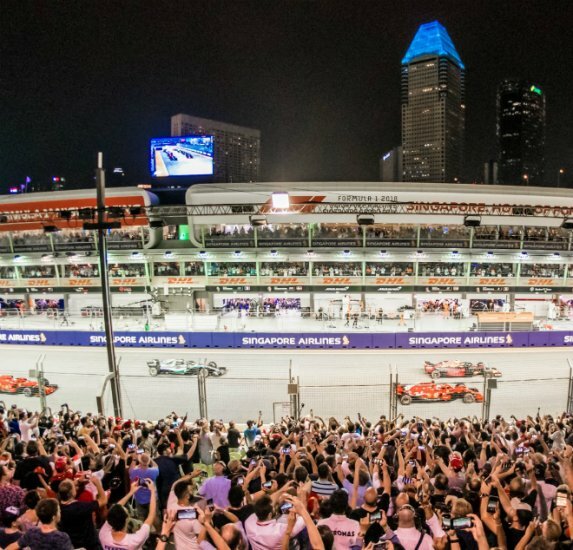 There’s a reason why the Singapore Grand Prix attracts more than 200,000 spectators each year, with almost 400 million more watching on TV globally. 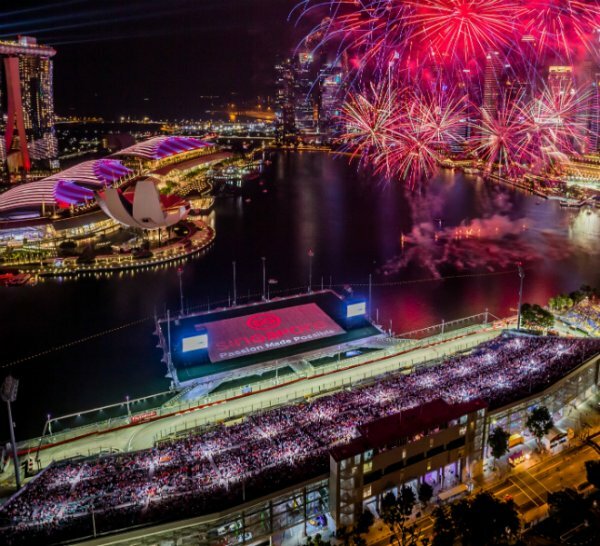 Known as the heart of Asia racing, the Singapore GP isn’t just Asia’s premier racing event, it’s an all-encompassing bonanza with fantastic live music, entertainment, dining and a festival atmosphere unlike any other. We had a chance to experience the prestigious event and here are five reasons why it’s a top race to go to. F1 race under lights at night is one of the most amazing things you’ll ever see, with lights and sparks dancing off the multi-million dollar cars as they go wheel-to-wheel racing up to 320km/h. We know the paddock goes on about it every year but you have to see it to believe it. The experience is utterly different to the traditional European circuits and the track is lit up by 1,600 lights projectors with a total power output of over 3 million watts. It’s a thing of beauty and when you add to that the stunning city and harbour, it makes for a truly unique racing experience. 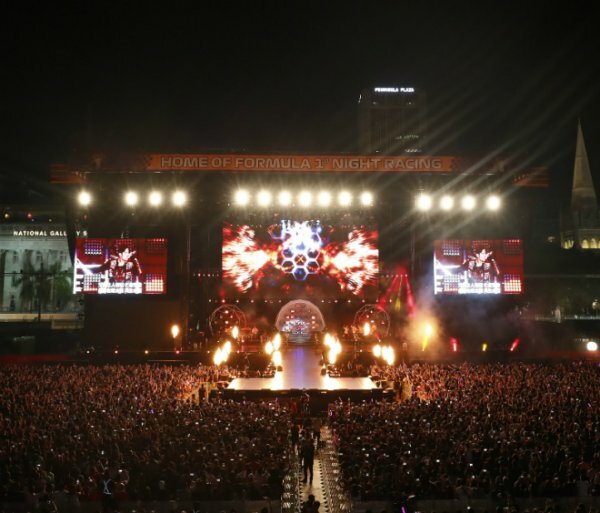 Singapore was the first F1 race to sign top stars for race weekend concerts and this year’s entertainment lineup was one of the best the city has ever seen. Fans were treated to incredible live performances from 27 acts this year, featuring headliners Martin Garrix, The Killers, Liam Gallagher, Jay Chou, Dua Lipa and Simple Red. The action-packed weekend also saw international acts such as Young Fathers, The Sugarhill Gang, Sekai No Owari and Bjorn Again. You can expect 2019’s entertainment line-up to make news when it’s released, with the past headline acts at the event including Rihanna, Calvin Harris, Bon Jovi, Ariana Grande, Maroon 5, Kylie Minogue, Linkin Park and more. There’s something for everyone. Singapore’s reputation for good food runs deep and this year, Singapore GP recruited some of the best in the industry for the fans. Neil Perry’s Rockpool restaurant made its debut in the Formula 1 Paddock Club, the world-famous super luxe hospitality precinct that also featured Nobu, Hong Kong-based bar and restaurant Stockton, and international star Como Cuisine. There was another debut happening further down the pit straight with new VIP party precinct dubbed as Twenty3. 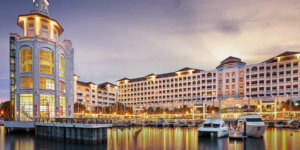 Named after the final turn where it’s located, it houses over 3,000sqm with three five-star restaurants, four bars, a 10-metre long dessert bar and, to top it off, a two-storey nightclub named as the Apex Lounge – complete with a kinetic light installation, which was specially brought in from Germany. Singapore really comes alive at night on race weekend. There’s no shortage of bars, clubs and rooftop hotspots where you can party until the small hours. 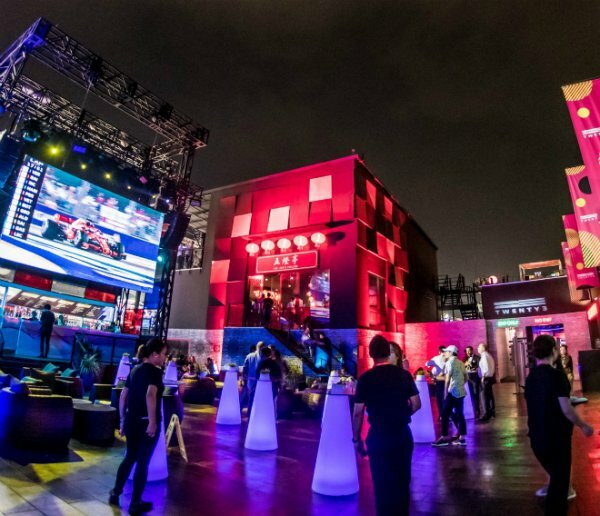 At the higher end, the Amber Lounge put on an F1 fashion show on Saturday night and party with F1 drivers and celebrities after the race on Sunday. In a similar vein, The Podium Lounge took over the grand ballroom of the Ritz Carlton for F1-themed parties all weekend. Meanwhile, 1-ALTITUDE at the top of the 1 Raffles Place skyscraper for “The Circuit” parties or CE LA VI at the top of Marina Bay Sands offered the best rooftop views for post-race drinks. Singapore GP organisers did such a good job of providing useful information to the fans and visitors. From survival guides to a detailed website and useful app, not to mention thousands of young crew members all over the circuit grounds, the organisers went out of their way to make sure fans have the best experience possible. So, it’s not a surprise the Singapore GP always attract a fantastic crowd. The street circuit is popular with international and local fans, who can watch the action on their own doorstep and it’s also hugely popular with Malaysians racing fans, being not too far away from this homeland. One thing’s for sure in Singapore – you can expect an awesome vibe from the crowd when F1 comes to town. 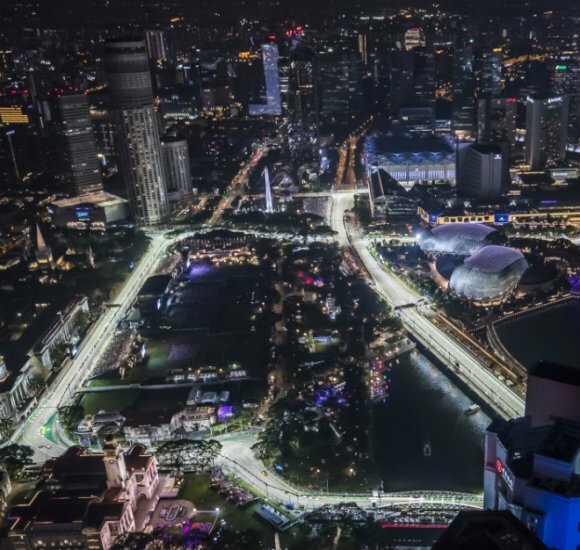 A trip to the Singapore Grand Prix becomes both an unforgettable and magical experience. The effort made in to organising the venue, the entertainment, outstanding food and a positive vibe around the whole of Marina Bay takes considerable effort. 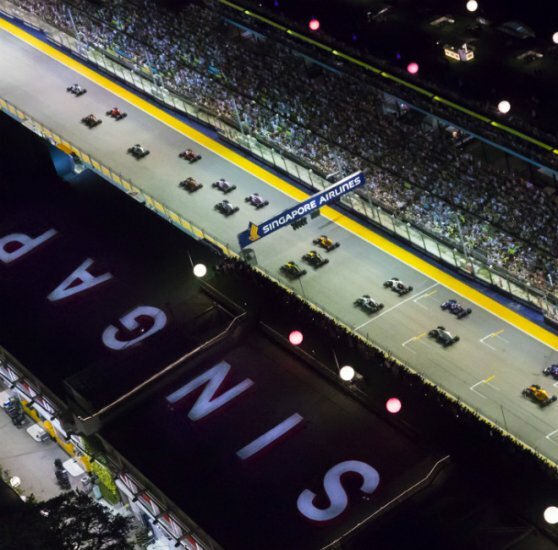 No other circuit captures the speed and excitement of GrandPrixx racing as much as Singapore does, and the atmosphere is something that F1 fans should savour at least once.